This important study posits a new way of understanding how ordinary Black people used the 30 years following the civil rights movement to forge a new political reality for themselves and their country. 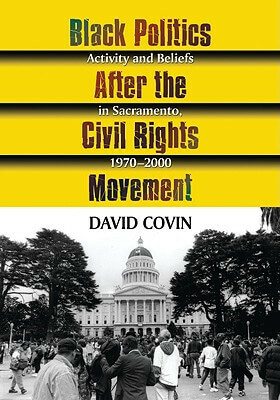 While following national trends closely, it focuses particularly on the political environment of Sacramento, California, from 1970 to 2000. Having a racial profile that is remarkably similar to the nation’s demographics as a whole, Sacramento serves as a useful national proxy on the racial question. Unlike most studies of Black politics over the era, this text pays close attention to minor actors in the political process, yet places them within the context of the larger political world. We see, for example, the local effects of the War on Poverty, the Harold Washington mayoral campaigns, the Rainbow Coalition, the Million Man March, and the great increases in locally appointed and elected Black officials within the context of similar campaigns and movements nationwide. Tell us what do you think about Black Politics After The Civil Rights Movement: Activity And Beliefs In Sacramento, 1970-2000.